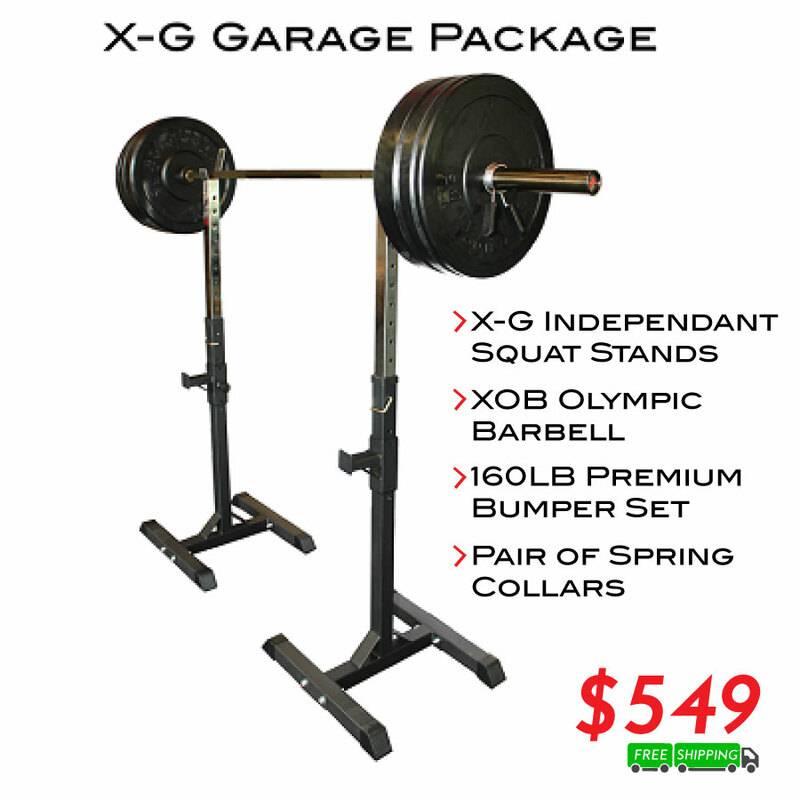 We offer a wide array of garage packages for your home gym. From our X-G package to our Platinum, we offer huge savings and free shipping! Squat Racks, Pullup Bars, Weight Bench, Bumper Sets, Bearing Barbells and much more can add up to huge savings when bought all together. We offer freestanding and wall-mounted rig options as well that have modular designs so they can constantly be changed or added to! If you're looking to customize or build your own package, just give us a call at 877-348-7464 and we'd love to help you create the perfect setup for your home!